2015 Young Citizen of the Year. Australia Day was a huge day of celebration in our family. 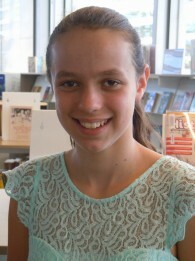 Princess (11) was awarded the “Mornington Peninsula Shire 2015 Young Citizen of the Year”. Apparently there was an immediate unanimous vote among the judges for her when the nomination was read. The award usually goes to someone in their late teenage years or early twenties for community service and they have never had someone so young be nominated before. 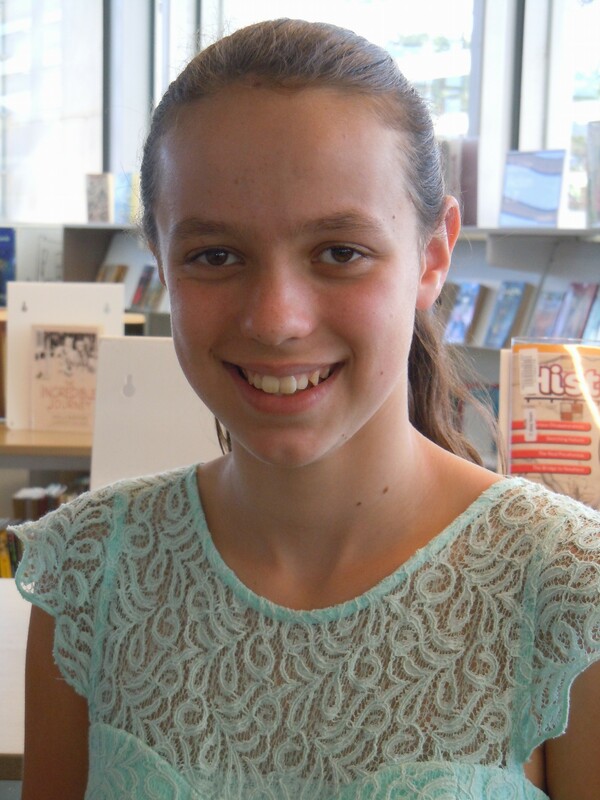 Princess is passionate about reading and commenced a project she called “Books 4 Cambodia” because she became aware that there were millions of children in Cambodia who did not have access to any books. English is now the educational language in Cambodia. Without books, it is a lot harder to get an education. She knows first hand the power and freedom and knowledge gained from reading books and she wanted these children to have access to this. She wrote 100 letters to school librarians in Melbourne (mainly private schools) and received books from 69 of these schools. She also wrote to a number of removalist companies requesting donations of book cartons and she received nearly 500 boxes, necessitating us buying less than 10 boxes all up. It became a family affair with hubby driving all over Melbourne with Matey and Princess to collect the books. Princess helped me sort the 50,000 books but it soon became apparent that some of the teenage fiction especially from a couple of exclusive private girls colleges was extremely offensive and full of witchcraft and didn’t meet Cambodia’s requirements for children’s books. It took about 10 hours to sort through each 1,000 books, with 15,000 books still needing tossing due to unsuitability. Princess enjoyed working out the maths of which size container, the cost, how many book boxes would fit in, the maximum weight the roads in Cambodia could cope with and how many books plus the weight of the container would equal this etc. Numerous friends also helped sort and pack books one day at the church, plus several friends spent a whole day just helping me sort books at home. We are so grateful for such an amazingly supportive group of people surrounding us as the whole family was so involved in this project. After sending the 40 foot container with 33,000 children’s and student books in it to Cambodia, our family then had the priviledge of travelling to Cambodia where we helped out and stayed in two children’s centres over three weeks. Whilst there, we had the joy of seeing the container begin to be unpacked and we helped to deliver books to schools, the children’s centre and the Mean Chey University. The President of the University was so impressed that he organised an official ceremony where the Governor of the State thanked and honoured Princess. He said that these books were helping to educate a whole generation of Cambodians. We also realised that the books created a problem for the schools as they didn’t have any bookcases to store books on as they had never had books before. At one school, the Principal made a bookcase that very night to store the books on. The four politicians present at the ceremony all commented in their official speeches that they could see Princess in a civic or government role and were all impressed with both the project she had undertaken plus her three minute acceptance speech. Two of them suggested she contact them throughout the year as the 2015 Young Citizen and they would write a reference for her for future scholarships at the local private exclusive schools. Princess received $500 to cover expenses incurred throughout the year. 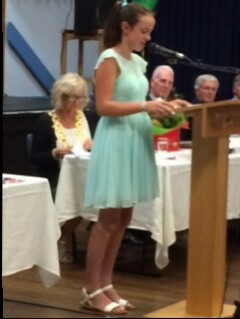 She has numerous official functions to attend throughout the year, ranging from the Mayoral Ball to the after ceremony dinner to the five shire Citizenship ceremonies. Australia Day was spent at the official Mayoral luncheon, followed by the presentation ceremony, then to the Mayoral balcony view of the local shire parade. Fireworks over the Bay were viewed with family and friends from Beach Mission after all the official functions were completed on the day.